ARUA – The Arua Municipality by-election in August had been billed to be one of the usual political tussles between the opposition and the ruling NRM party. The previous ones held this year in Rukungiri, Jinja East and Bugiri Municipality had all been tightly contested and the Opposition, especially Bobi Wine’s people power political pressure group, had won them. So the Arua Municipality seat declared vacant following the death of the incumbent, Col Ibrahim Abiriga, was bound to be another tough contest. As usual, the Opposition bigwigs, including Bobi Wine and Dr Kizza Besigye, and President Museveni, in his capacity as the chairman of the ruling NRM party, all descended on Arua Municipality to campaign for their respective party candidates. On the final day of the campaigns, an unprecedented incident happened. Violence broke out when one of the vehicles in the presidential convoy was allegedly hit by stones from supporters of Kassiano Wadri, then independent candidate in the poll. This was at the tail end of the campaigns in the evening. The result was soldiers under the Special Forces Command, an elite group that guards the President, started shooting and arresting opposition supporters and leaders. 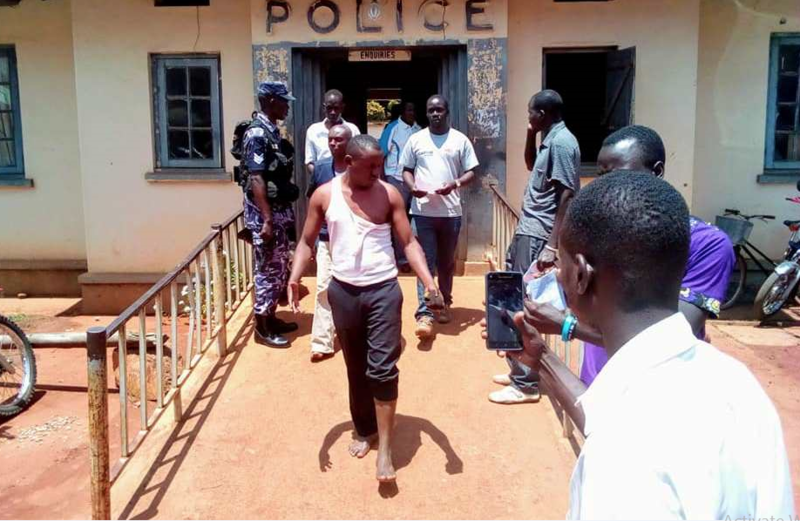 In the ensuing chaos, the driver of Bobi Wine was shot dead while MPs Gerald Karuhanga (Ntungamo Municipality), Paul Mwiru (Jinja East) and Kassiano Wadri were arrested. Francis Zaake (Mityana Municipality) and Robert Kyagulanyi aka Bobi Wine (Kyandondo East) suffered the most as they were brutalized by SFC soldiers. Their torture and eventually being charged with treason later attracted condemnation both globally and locally and put the government in the limelight over human rights violations. 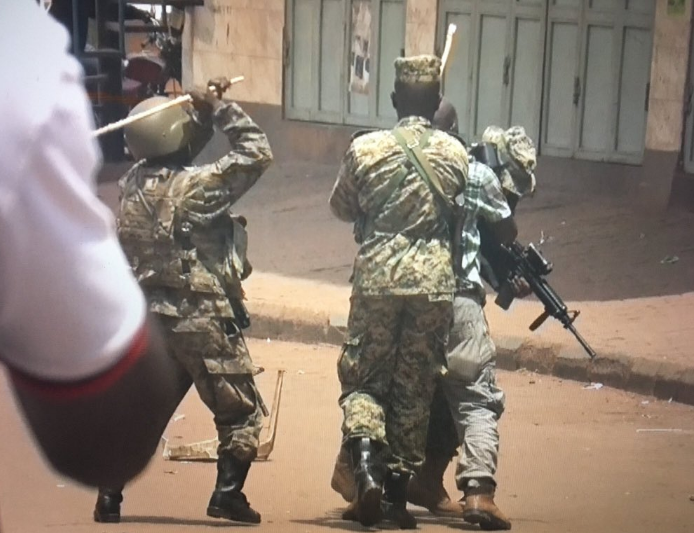 In the resultant protests in Kampala on Monday, August 20, several journalists such Hebert Zziwa, Ronald Galiwango and Juma Kirya, all of NTV, James Akena of Reuters and Alfred Ochwo from the Observer were brutalised by security agencies while covering the riots. Akena sustained a clot in the back head as a result of the Monday beatings. Parliament at one point threatened not to pass Bills if President Museveni did not punish members of his Special Forces Command for beating up and torturing two Members of Parliament (MPs). In a heated debate, the members from both opposition and ruling party condemned what they described as impunity of the ruling party in condemning torture of MPs Robert Kyagulanyi (Kyadondo East), Francis Zaake (Mityana Municipality MP), Gerald Karuhanga (Ntungamo Municipality) and Paul Mwiru (Jinja Municipality East) following arrest over the Arua election chaos. Leader of the Opposition Betty Aol Achan was the first to draw blood. “This is not the first time [soldiers are beating up MPs. The first time, members were tortured right here. This is the second time. There will be a third and fourth time if we continue to move like this,” Ms Aol said. The African Centre for Media Excellence (ACME), an organization that promotes professional journalism in Africa, also condemned the arrest, torture and brutality of journalists by security officers during the Arua chaos and in Kampala over the detention of several Opposition MPs, including Robert Kyagulanyi, aka, Bobi Wine. Globally, the US House of Congress warned the Ugandan government against “suppressing political dissent” in the wake of the arrest of Members of Parliament and others in Arua by-election chaos. 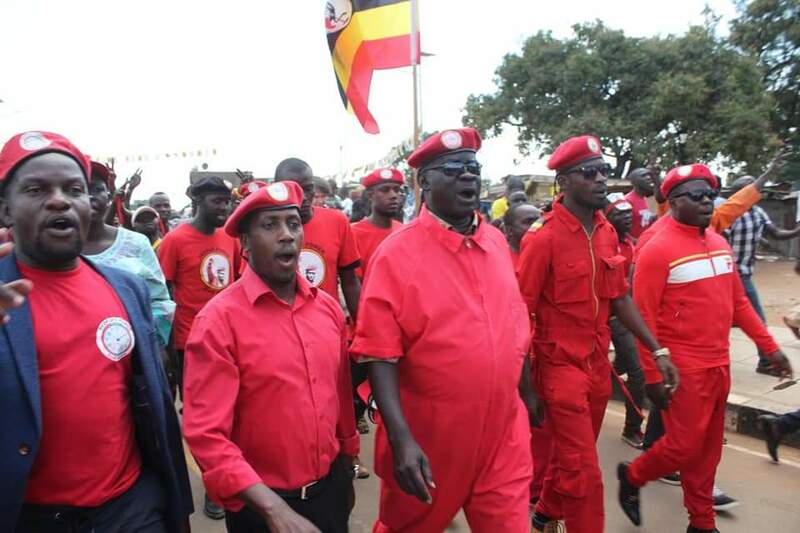 The Arua Municipality chaos, therefore, was a turning point in the political history of the country as it exposed the worst side of the government.